Lighttime bowfishing is intriguing fishermen like never before as reliable, power-efficient LED fish spotting lights are now plentiful. Our 2019 best bowfishing lights guide covers the highest quality, best performing and affordable LED bowfishing lights available. 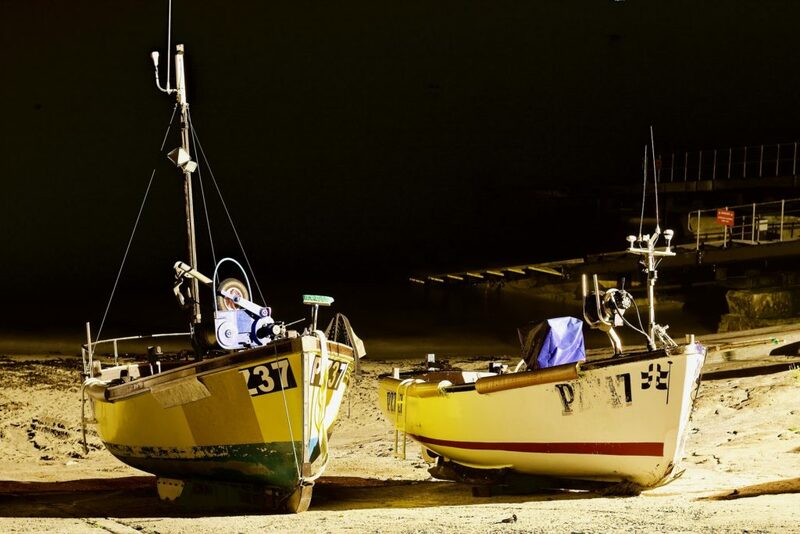 We compared dozens of lights for nighttime fishing expeditions by analyzing crucial features including illumination strength, operating voltages, LED color and IP waterproof ratings. We narrowed these to 10 top lighting choices for boats large and small. 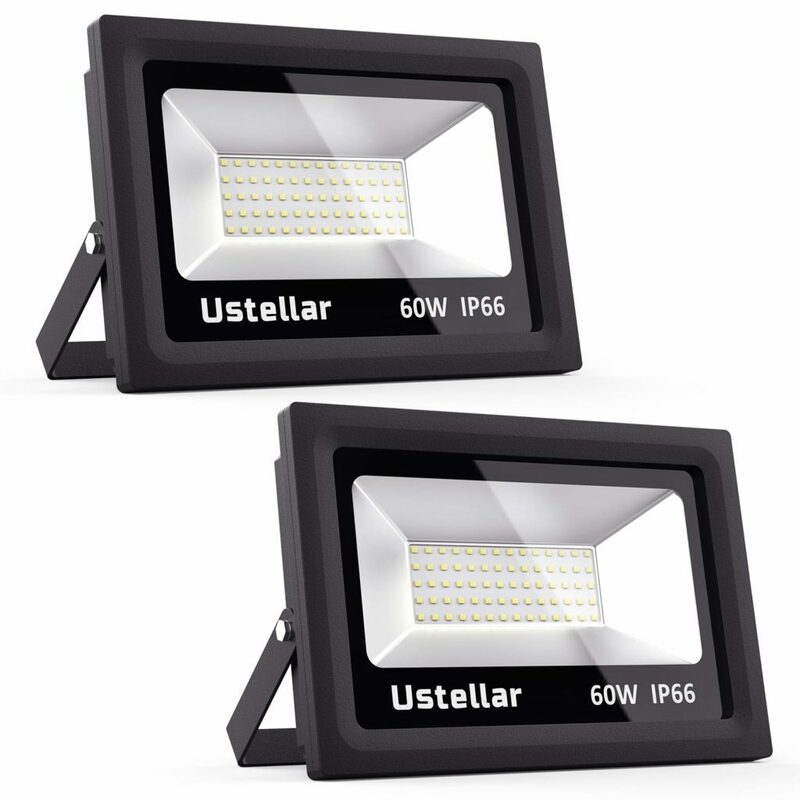 Our detailed reviews include our number one choice, the Ustellar 60W LED two-pack with total output of 9600 lumens. Following our detailed reviews are sections on choosing LED color temperature, setting up your lights and answers to frequently asked customer questions. We help you navigate the search for top-rated nighttime fishing lights so you can navigate the dark twists and turns of your favorite lake, river or bay as soon as possible. Ustellar’s 2-pack of outdoor LED flood lamps provides ideal water illumination at a great price. Due to their low current draw, you can run them off an AC generator or deep-cycle battery/inverter setup easily. These reliable, best LED bowfishing lights boast a respectable IP66 waterproof rating. 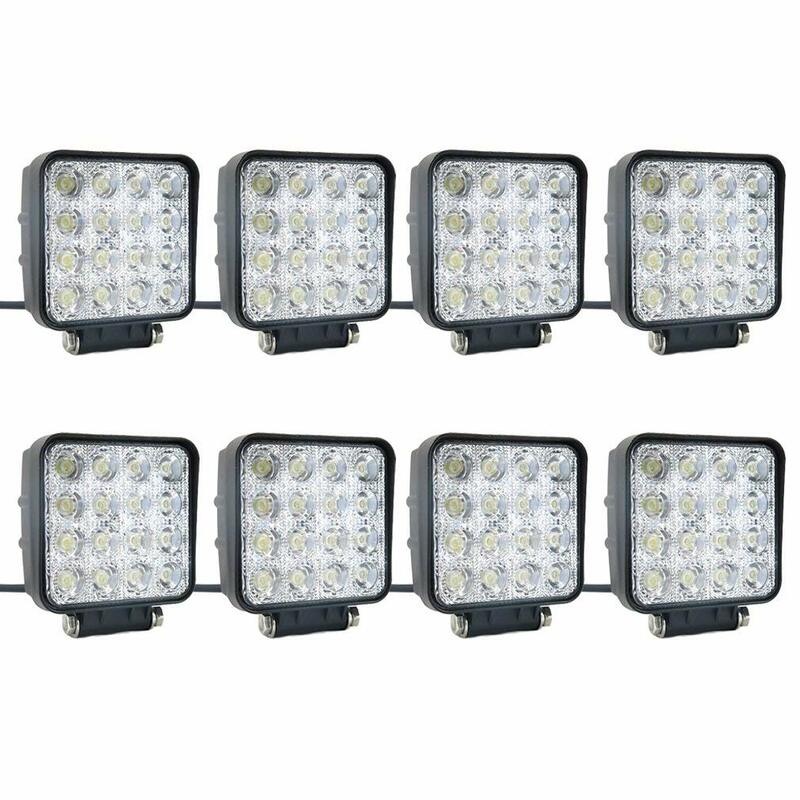 Consuming just 60W each, they provide a penetrating 120-degree flood beam to illuminate a broad swath of water with a 4800 lumens daylight white color. Each light’s interior is protected by a tempered glass cover. Installation is easy with a rotatable U-bracket and a 20-inch wire lead. Just supply each lamp with 100-120V AC at 60Hz. The combination of extreme brightness, daylight color and broad illumination beam make these Ustellar lights a popular choice for bow fishermen. Most buyers place two of these each side of the bow for lighting up the water forward, port and starboard. The Ustellar LED flood light kit provides the best bowfishing lights for clear and muddy water with a penetrating, daylight color. Hookup is dead simple as is mounting on the foredeck or gunwales. Two pairs for 360-degree water illumination. LEPOWER’s 100W LED bowfishing flood lamp is one of the best LED lights for a bowfishing boat at a budget price. It shines as bright as a 500W halogen lamp but draws 20 percent of the power. A small AC generator or battery/inverter setup easily powers this light. These use two powerful, long-lasting 50W LEDs within an advanced scale-textured reflector that enhances illumination power. 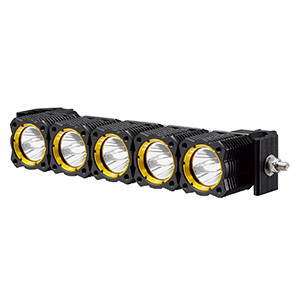 The 120-degree, 8000lm flood beam brightens a wide area of water with super-white 6000K color. Tempered glass plus an IP66 waterproof rating make this a durable light that resists rain and splashes well. Buyers love the plug-n-play installation of this light along with the easy-to-install U-shaped swivel mount. Since it comes with an AC plug, some boat owners use a wing-nut mount for easy stowing when in dock. There are no complaints about brightness and the ability to spot fish. This is a powerful bowfishing light that installs quickly. It mounts easily to a flat surface and plugs right into your generator or inverter. It is one of the brightest bowfishing lights we found. Buy it now for your night fishing venture this weekend. These LLT 50W LED bowfishing boat lights feature a slim profile, which facilitates close mounting to your boat’s bow or bulwarks. They are also a very affordable fish spotting solution for smaller craft. The wide-beam design is excellent for spotting fish over a wide area. Each lamp outputs 4000 lumens of daylight-like 5000K color using a redundant array of 75 20,000-hour SMD LEDs powered by 110-130V AC. They stand up to extreme temperatures, immersion, rain, snow and fog with an IP65 intrusion rating. These bowfishing boat lights are a favorite among fishermen with smaller craft due to their price, light weight and thin profile. Although the knuckle permits rotation, most buyers must be creative in mounting them using the slip nut. 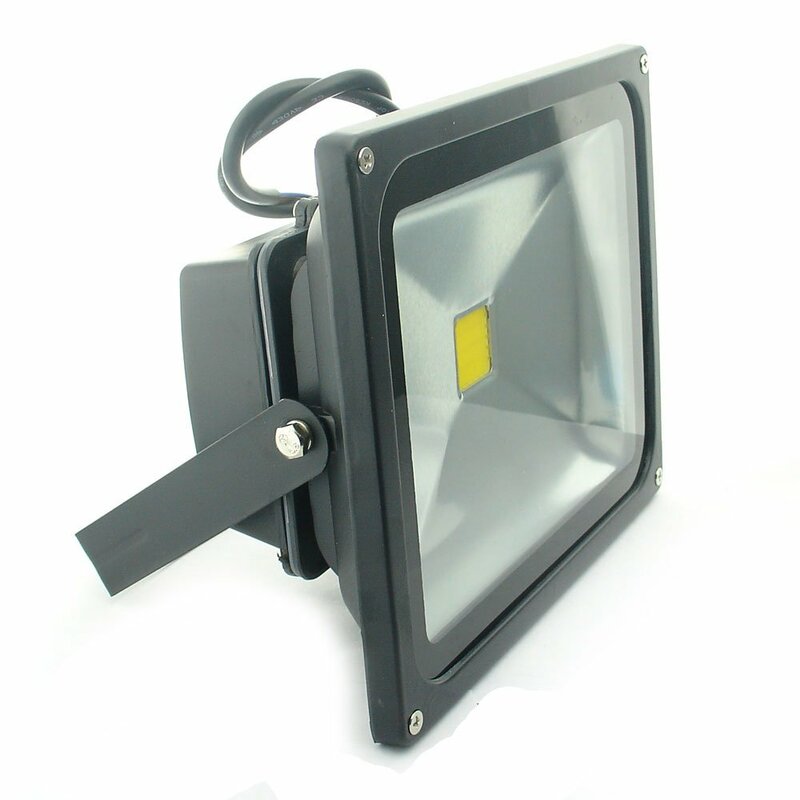 You cannot beat the price of the LLT 50W flood lights nor their slim depth and reliable SMD LED array. The 5000K beam color is quite effective in clear and murky waters. Give them a try for your craft and be amazed at how many fish they uncover. 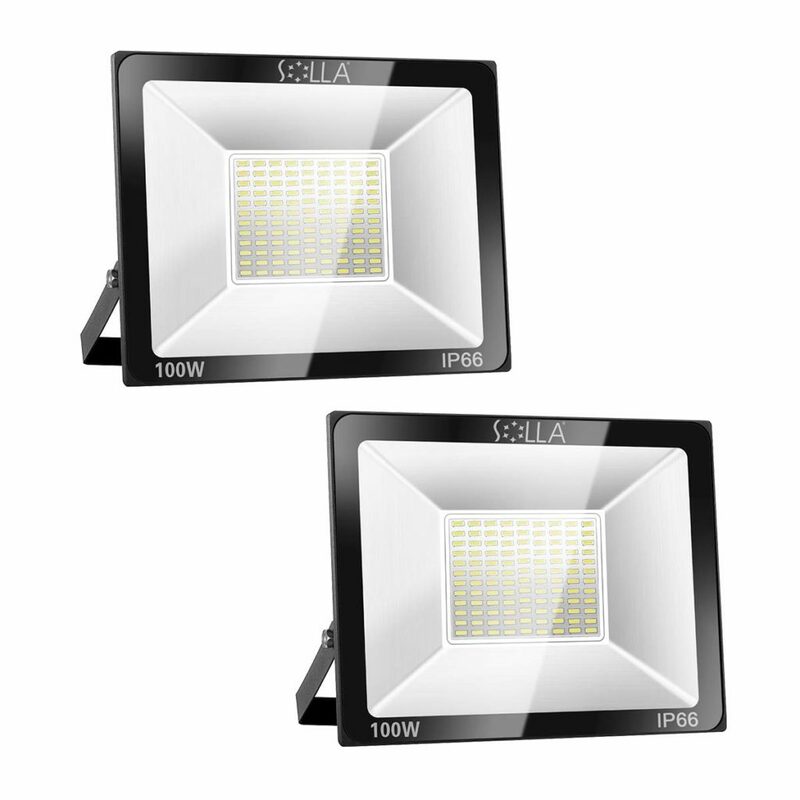 With this SOLLA 100W LED fishing flood light two-pack, you get two super-bright, warm-white lamps for a price others charge for a single light. Each lamp outputs 8000 lumens of 3000K color. 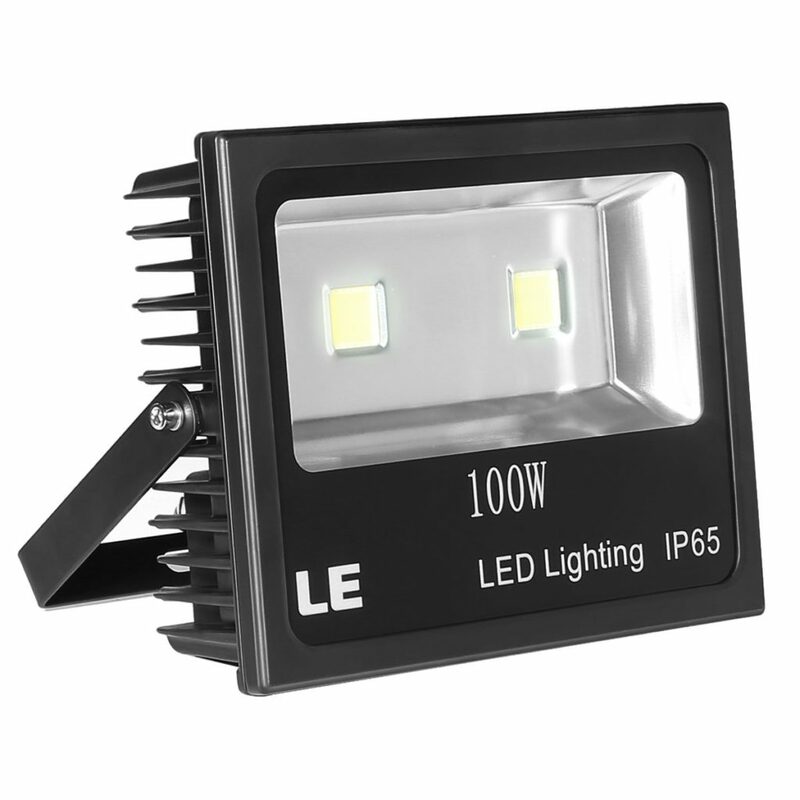 Generous heat sink fins and LED spacing contribute to their 50,000-hour LED lifespan. 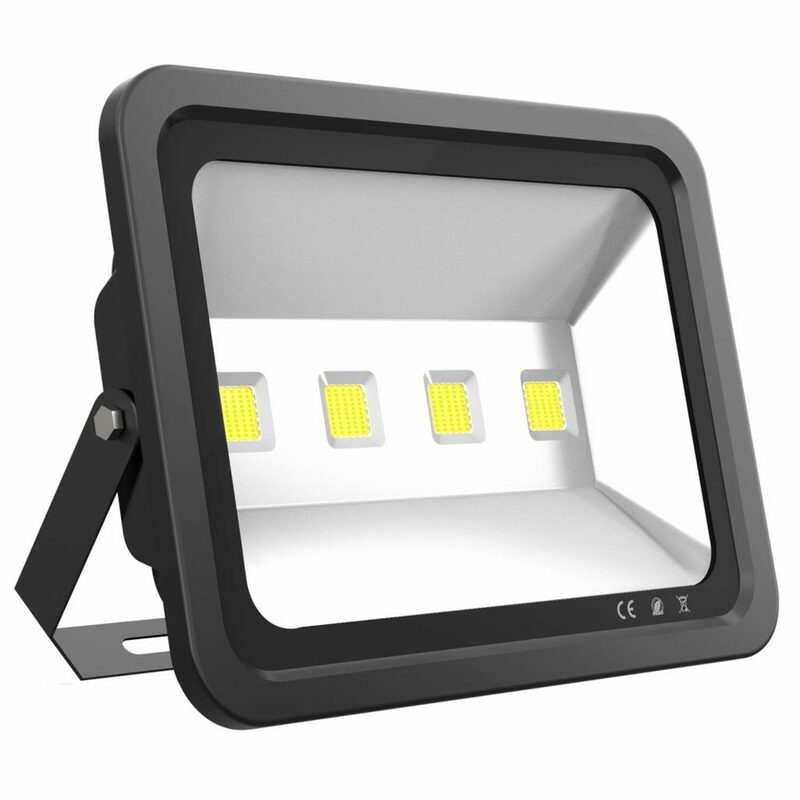 Additionally, these lights have an extra wide 140-degree flood beam angle, a tempered glass lens and an ultra-thin profile that is just 1.8 inches thick. The U-bracket facilitates vertical or horizontal mounting anywhere on your boat. Finally, it boasts an IP66 waterproof, dust proof rating plus a full 2-year warranty. Fishermen are pleased with the thin design and ease of mounting. Mounting two forward is typical, which provides void-free illumination thanks to the 140-degree beam spread. Wiring is black to brown, white to blue and green to yellow. Many fishermen find that warm LED bowfishing lights are superior fish spotters in unclear waters, which is why we recommend this ultra-bright, 3000K color kit. The icing on the cake is the bargain price. Buying this package will equip your craft with all you need for a productive night of fish hunting. 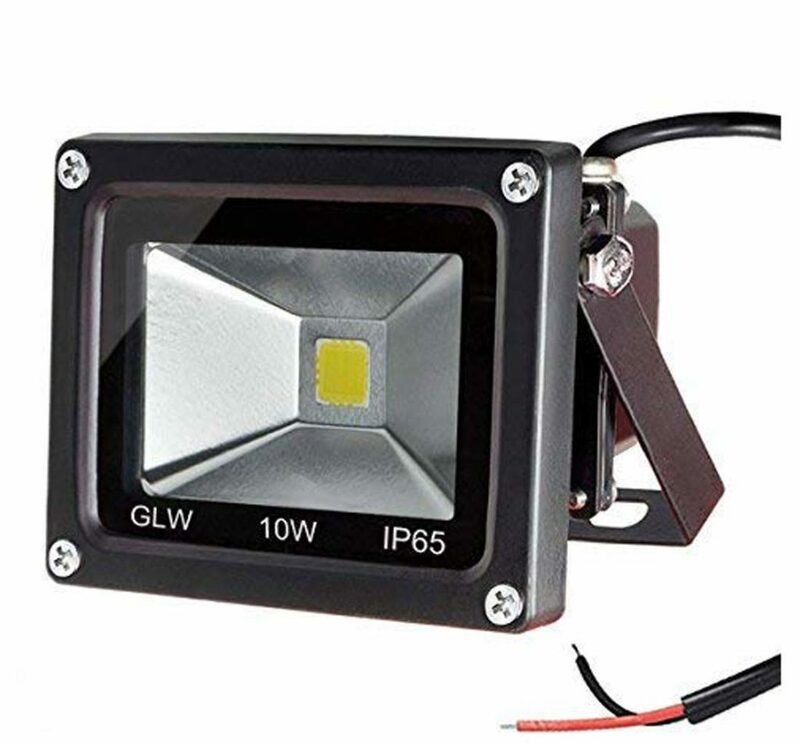 These bargain-priced GLW 10W LED lamps with warm white output provide excellent fish spotting in the murkiest water. They are super lightweight, sip power and are ideal as handheld spotting lights. Each 10W LED lamp illuminates equivalent to an 80W halogen bulb. The 2700 to 3200K spectrum produces a yellowish glow that penetrates cloudy water well. The unit caries an IP65 waterproof rating. Despite being listed as running on DC or AC voltage, you must use a transformer if hooking them up to a 110V AC system. A laptop charger under 18V DC output works great. Bow fishermen love the price and warm, murk-penetrating glow. They wire several in parallel for spotting from the bow, stern and sides. The junction box contains a circuit for direct PV solar hookup, but customers using batteries or AC hookup discard it to reduce weight and thickness. Wiring several of these lights directly to your deep-cycle battery is a snap. There’s ample room in the case to add quick-connects or separate switches too. With the power of a 250W high-pressure sodium lamp, the LE 100W/10Klm waterproof LED light uses 60 percent less power to produce a brilliant white beam in a broad, void-free flood pattern for lighting up an acre of stealthy fish. This light features a slim profile with an optimized, integrated heat sink design for long LED life. The 6000K color makes it one of the favorite bowfishing lights for murky water. It carries an IP65 waterproof rating, so it keeps on working in rain and fog. It runs off any AC source from 100 to 240V. Above all, buyers comment on the fantastic brightness of these lights. One customer tested its reach in a field and was able to read a book easily at a 240-foot distance. Fishermen love the low amperage draw as they only need a small generator or inverter to drive them. Although a bit pricier than other lights we have reviewed, this LE light is one of the brightest bowfishing lights we have encountered. Buy just one and see what we mean. You then may not have to buy several less expensive lights. 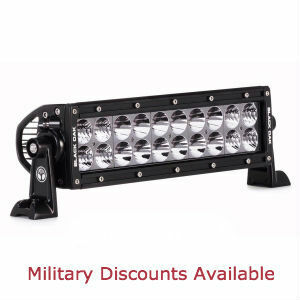 The Quans 30W DC/AC warm white LED flood lamp offers high value for bow fishermen for the price. It is suitable for 12V up to 24V AC/DC power systems using batteries or solar cells. Note that it cannot be powered directly from 110V AC without a transformer. The 3000K-3500K warm light works well to light up fish in sediment-rich waters. 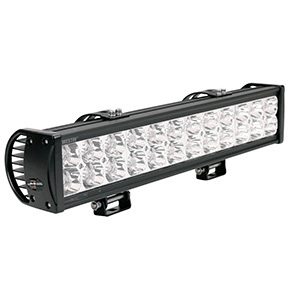 It outputs up to 3000lm with a flood beam that illuminates a large swath of water. Just two of these mounted each side of the bow are usually sufficient for smaller boats. It is moisture rated at IP65 and comes with a sturdy U-bracket for mounting plus a reasonably long wiring pigtail. Boat owners often use these QUANS lights for navigation in addition to fish hunting. They appreciate the even, well-spread, warm glow. They also like that they do not have to pay attention to the wire polarity. One buyer did find loose heat sink screws, but that is easy to fix. These QUANS lights are definitely a step up in brightness over 10W versions but due to low power draw are suited for battery-based power. They will add extra punch and penetration to your bowfishing adventures. Start by purchasing a pair and add more as needed. When discussing these LAPUTA 200W LED best bowfishing lights, the phrase “crazy bright” immediately jumps to mind. Seriously, just one of these mounted on your boat and it will show up on satellite photos. Their 20,000 lumen beam comes from four 50,000-hour 50W LEDs housed in a sturdy, IP65 case with a tempered glass lens. The 6000K light is equivalent to that of a 500W HPS or MH light with less than half the heat. LAPUTA backs up this light with a 30-day cash-back guarantee and free part replacement for life. The brightness is always the first thing customers comment on. If you want only one light for bowfishing, this is it. There is also universal praise for the manufacturer’s customer service. They replace any defective parts free during the first 180 days, After that, the parts are free, but you pay for shipping. You want bright, you got it. 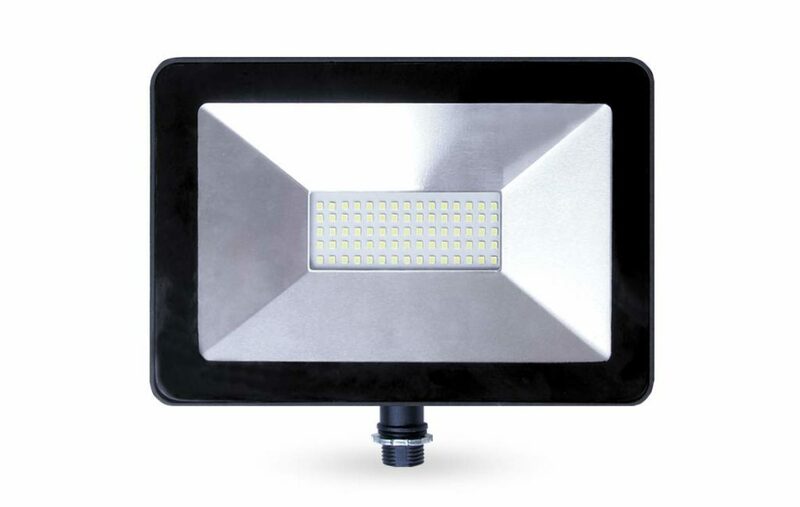 LAPUTA’s 200W LED flood light blows them all away. LAPUTA’s outstanding customer support should seal the deal for you. Buy it, mount it on a rotatable tripod and never look for another bowfishing light again. Our jaws dropped when we found these. They offer maximum flexibility in setting up your fish spotting light array. It gets better. 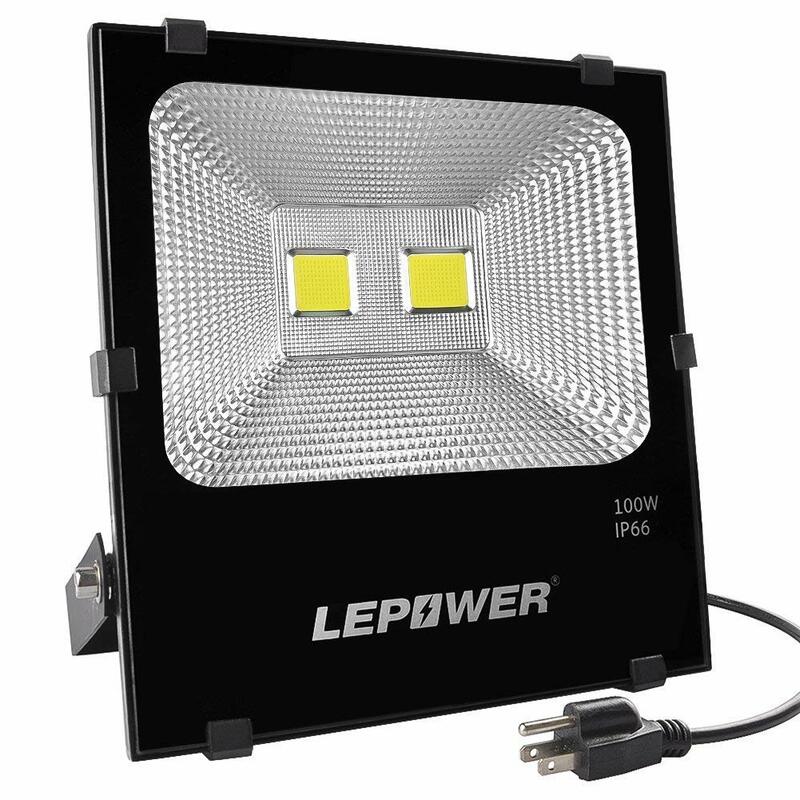 Each 4×4 LED lamp features 3W Epistar LEDs and 3,120lm output. They match any 12V or 24V DC system or you can run them with a generator and laptop power supply. The deep-finned, die-cast aluminum body absorbs and dissipates heat efficiently for long LED life. For bowfishing, many buyers install several and keep some for spares or handheld spots. Some buyers report a buzzing sound on 12V systems, which is cured by running them on 24 volts. Despite the IP67 rating, buyers silicone seal the lens. Tiny mount, but OK for small lights. When socks go on sale, you buy a lot because they are always needed. It is the same with this inexpensive light set. The low-price, superb brightness and easy mounting demand that you buy a set and figure out where to put them later. 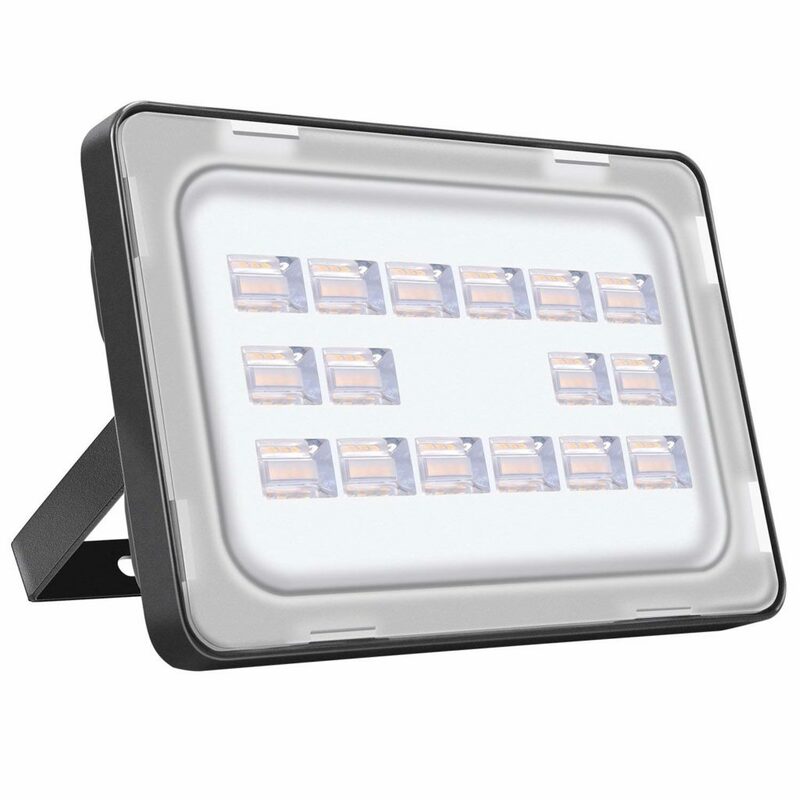 The Viugreum 50W warm white LED flood light is another excellent value fish spotting light. Two to four of these will greatly enhance your next bowfishing nighttime adventure. With 5000lm of 2800K light color and a 120-degree flood width, these lights reach into sediment-stained water to light up fish other lights cannot reveal. These lamps run on 110-120V AC but draw under one ampere. 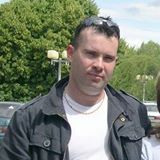 They are easily driven with a generator or battery/inverter setup. 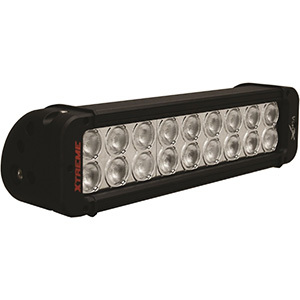 The 64 30,000-hour LEDs are cooled by die-cast aluminum fins and protected by a shatterproof polycarbonate lens. IP65 construction means they can be used in the rain. 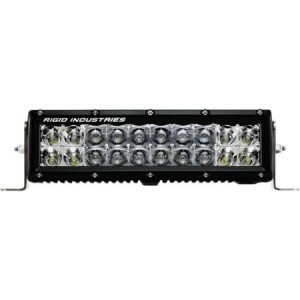 One buyer measured these lights’ output at 95W, so there is no exaggeration on that account. Bow fishermen appreciate the slim case and U-brackets that enable flexible mounting options. They especially appreciate their dark-water penetration. The 2800K color really lights up fish in muddy or algae-rich water. They mount easily forward, aft or on the gunwales. The manufacturer is responsive to problems. Viugreum makes 16 variations of color and power of this light, so buy the ones that match your boat and fishing strategy. LEDs are manufactured to shine most strongly at a particular wavelength in the color spectrum from infra-red to ultra-violet. Instead of using fuzzy terms like red, blue or green, LED manufacturers measure the color of their LEDs by specifying their color temperature. This temperature is measured on the Kelvin scale and denoted by the letter ‘K’. When it comes to LED lights for bowfishing, the most popular colors are around 5000-6000K, which is a cool, bluish white and 2500-3000K, which is described as a warm white for its slightly amber color. 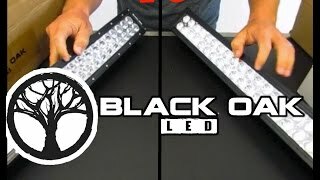 Which Bowfishing Light Color Is Best for You? The answer to this question depends on the visual nature of the waters that you like to fish at night. Most bow fishermen agree that the warmer amber LED colors light up fish better in waters with poor visibility due to sediment, algae or other suspended debris. This factor is due to the warmer lights reflecting less light back to the eye and the fact that the color of the light more closely matches that of the water’s daytime color. If you are fishing at night in waters that are clear or semi-clear, then it is likely that an LED bowfishing light with a color from around 5000K and up will more deeply penetrate the water than lower temperature lights. There will be fewer problems with glare or reflection due to water debris. Additionally, cool white lights tend to enhance the gray-silver scales of many game fish, which further enhances these lights’ ability to uncover your prey. Are Your Lights Too Bright? Regardless of the color of the bowfishing LED light you use relative to the clarity of the waters, a light that is too bright may produce excessive reflection, which actually makes it harder to detect fish. So, a brighter light is not necessarily better. When considering brightness, it is better to apply more powerful lights to illuminate a larger expanse of water. Less bright lights are great for lighting up fish closer to the boat. Besides the choice of the best LED color and the best brightness relative to water clarity and your style of bow and arrow fishing, there are a few more factors to ponder. Estimating your lighting budget starts with determining how many lights your boat needs. Two bow-mounted lights is a good place to start, but you may want two on the stern for your fishing buddy also. Gunwale lights are convenient for fishing off the sides of course. One or more smaller portable lights are also very handy. Keep in mind that it might be useful to acquire a mix of smaller vs. larger or cooler vs. warmer light colors too. Once you know the number of lights, compare our reviewed lights’ features and prices to find a best fit within your overall budget. Leave room for the purchase of wiring, switches, batteries, inverters or a generator. Our chosen LED night fishing lamps are constructed with one, two or many LEDs. The number of LEDs does not necessarily affect the overall cost since smaller LEDs cost much less. However, having a larger number of LEDs does have one advantage. If one or a few LEDs happen to fail, the light remains relatively functional. If one LED in a two-LED lamp fails, you have lost half your light. IP stands for intrusion protection. It is a measure of how well the light repels rain, fog, snow, ice and dust based on rigorous laboratory tests. The higher the IP rating, the more resistant the light is to such environmental conditions. For bowfishing use, the absolute highest IP ratings are not necessary unless you think the lights will actually be submerged. Otherwise, you can help boost the IP rating of any light with a proper application of quality silicone sealant around the lens or any place on the housing where water might enter. In general, a longer warranty coverage or cash-back guarantee usually indicates the amount of confidence a manufacturer has in their product. Do not purchase a light with anything less than a 1-year warranty and check buyer comments to gauge how well they service customers. The LAPUTA 200W LED bowfishing lights offer an outstanding parts replacement policy. If you already have a source of electrical power in your boat, then choose lights whose power requirements match your power source. Otherwise, you have decisions to make about how you are going to supply power to your lights. Providing DC power to bowfishing lights is relatively simple in most cases compared to an AC power source. All you need is a properly sized deep-cycle battery, some DC cable and possibly switches and connectors. A rule of thumb for flooded battery size is three times the expected amp-hours needed by the lights. For example, if you are running 100W of LED lights at 12V for five hours — 8.5A x 5h x 3 — then you need a 120 Ah lead-acid battery. That capacity rating could be 20 percent lower for gel or AGM deep-cycle batteries. Most LED bowfishing lights will operate at 24V DC also, which halves their current draw. That means you would connect two batteries, half the size of the single 12V battery, in series. A 24V system has the added advantage of handling any voltage drops better. If you use a DC-AC inverter, be sure the inverter’s wattage rating is about 20 percent greater than the total wattage used by your LED lights. Besides properly sizing your power source, inverters, batteries and connecting wires, make sure you insert the proper size fuses in the circuit that match the current capacity of the wiring’s AWG size. Especially if you have multiple lights, installing a master cutoff switch is a splendid idea. The majority of our quality bowfishing LED lights have a swiveling bail-type mount, which really is the most versatile mount for your lights. They accommodate attaching the light to a wall, a deck or an overhead support. However you choose to mount your lights, consider the weight of the light and how exposed it is to splashing water. Besides questions about choosing LED color, powering lights and mounting them, bowfishing light shoppers often have a few additional questions. How Should I Aim a Bowfishing Light? Unlike game hunting spot lights, you want to spread the illumination over a large area to detect fish shapes and movement. All our reviewed lights are flood style for that reason. If you are using multiple lights, aim them such that each light’s coverage slightly overlaps the lights on either side of it. Also, try to keep the angle of attack low enough to reduce reflections from the water. To further increase illumination flexibility, try using a smaller light, such as the SUCOOL eight-piece bowfishing LED flood lamp kit , as a handheld light for lighting up inlets or tight coves. What Steps Can I Take to Ensure Longevity of my Lights? Always wire multiple DC or AC lights either on separate circuits or in parallel. Never wire them in series. Ensure you use a wire gauge sufficient or larger than the total current draw requires. Seal all wiring connections and your lights’ covers along their edges with good quality silicone sealant. Avoid mounting your lights where they might be exposed to splashing water or immersion. Make sure there is adequate space behind the lights for air to circulate over the cooling fins. Do Lights and Equipment Such as Generators Spook the Fish? Most of the species you are hunting, such as carp, gar, buffalo and drum fish rely on stealth to evade predators. They are not aware that the lights reveal their location. Generator noise does not concern them. However, grass carp tend to spook more easily. You have to aim and shoot more quickly when you find these, but keep in mind that you would not even know they were there without a light. We chose the best bowfishing lights on the market for nighttime fishing enthusiasts. We performed the heavy lifting of sifting through dozens of product descriptions so you will spend less time researching and more time hunting fish. 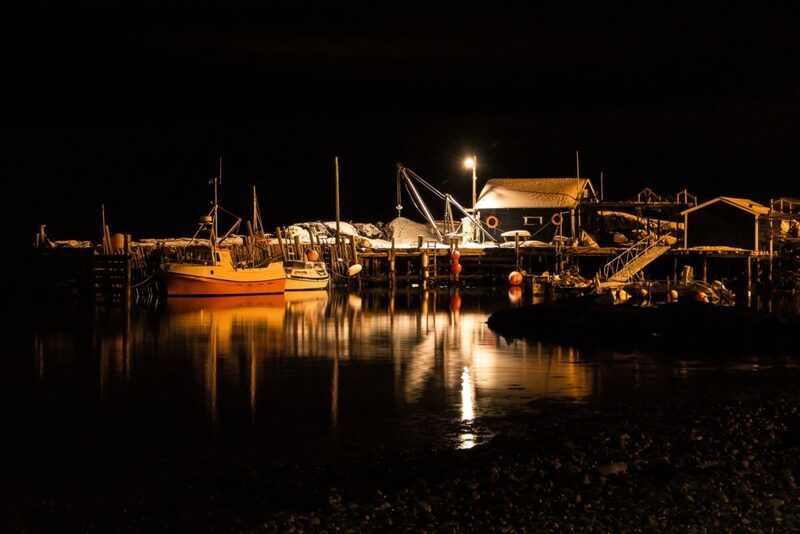 Each of our reviews informs you of the key features and benefits of top-quality nighttime fishing lights suitable for any boat. Now, it is up to you to make your ultimate decision on which light or lights to purchase. Fortunately, you can buy with confidence based on our analyses, the solid manufacturer warranties and Amazon’s well-known buyer-oriented return procedures and policies. The fish are out there waiting, so do not delay in deciding which light to buy. Your LED fishing light purchase will surely enhance your ability to apprehend the lunkers lurking in the darkness. Get ready for a productive outing armed with the best bowfishing lights available.